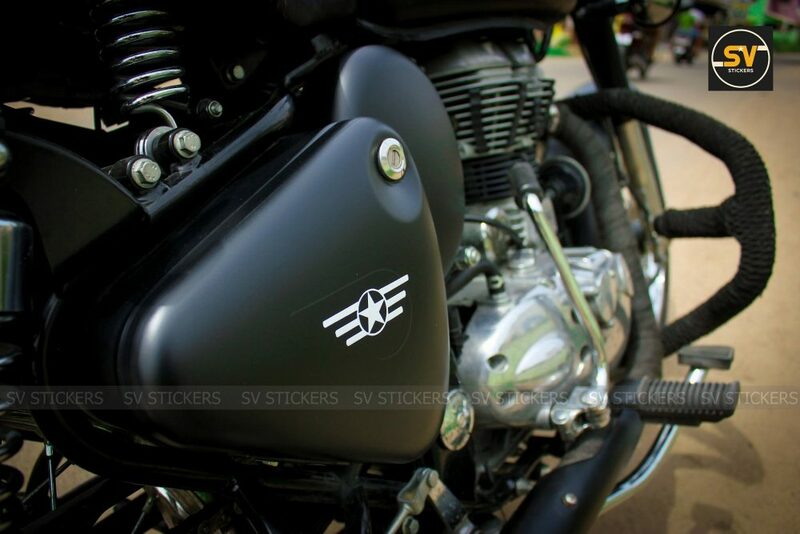 Meet RE Classic 350 Stealth Black Edition: SV Stickers are here to help the owners of 350cc Royal Enfield Classic achieve the Stealth Black look on their present motorcycles. 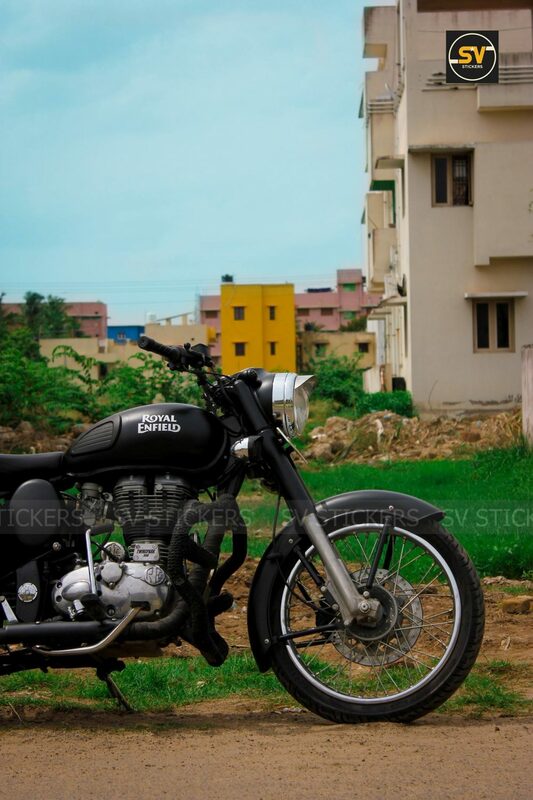 You may upgrade to the bigger Classic engine if power is your requirement but, for those looking into visual enhancement, you can go through these neat images and see if it works for your satisfaction. 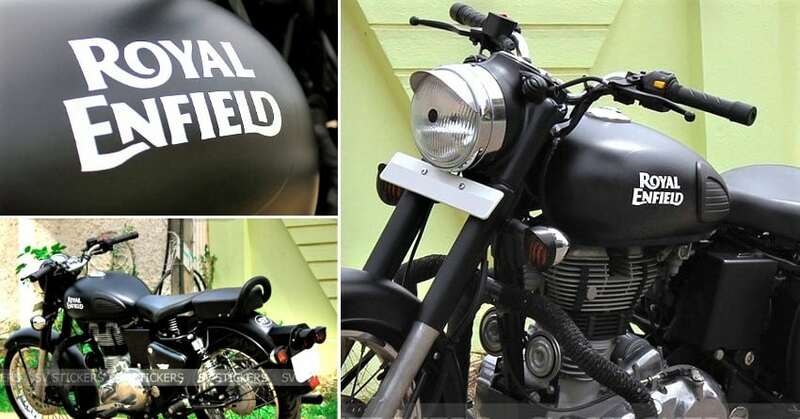 The motorcycle will flaunt partial Classic 350 aesthetics like silver and chrome engine, chrome wheels and suspension components. 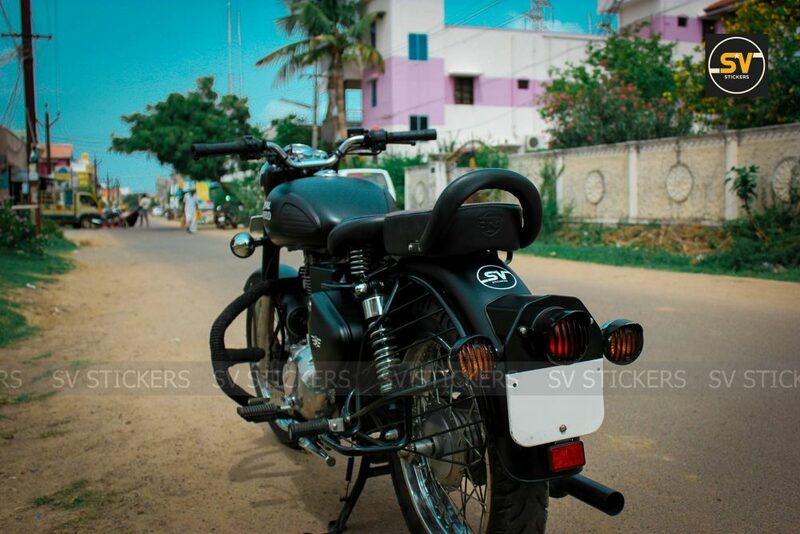 The handlebar is also chrome in standard guise. 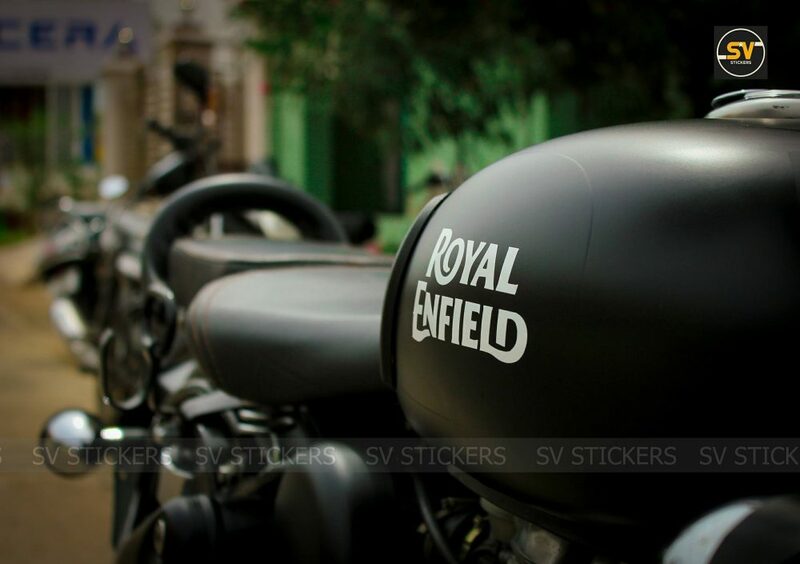 SV Stickers have neatly wrapped the fuel tank, front and rear fender, side boxes, exhaust and front headlight fairing in Matt Black shade, creating the first impact of a limited edition motorcycle among other Classic 350 bikes. 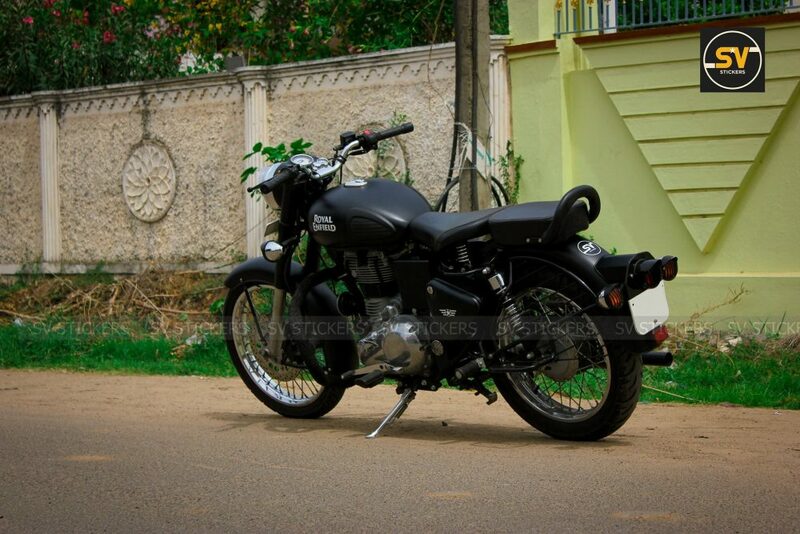 The front suspension cover is partially black, while the lower section stays in the stock color. 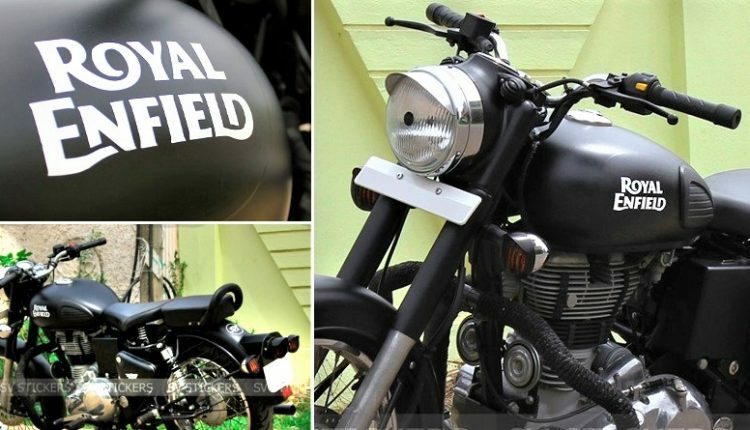 Royal Enfield Classic 350 is powered by a 346cc engine, producing class-leading 28Nm of torque and more than sufficient, 20HP of maximum power. 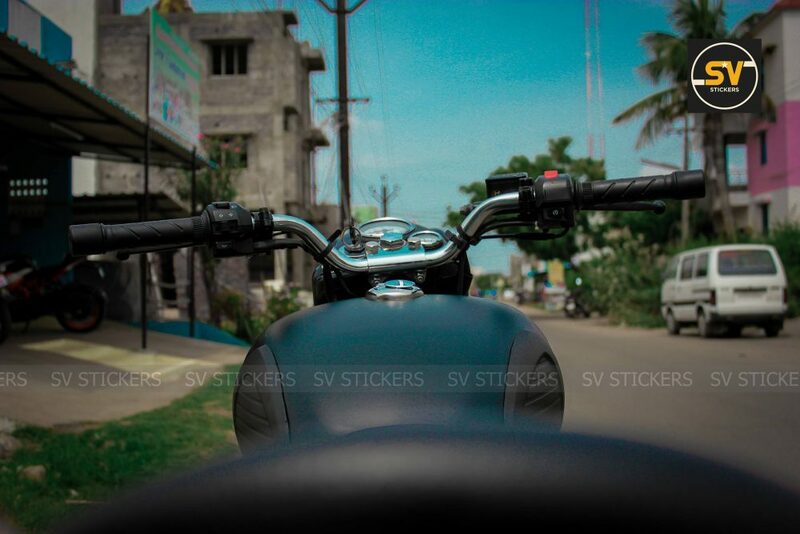 SV Stickers made no changes to the mechanical parts, keeping the motorcycle completely road legal. 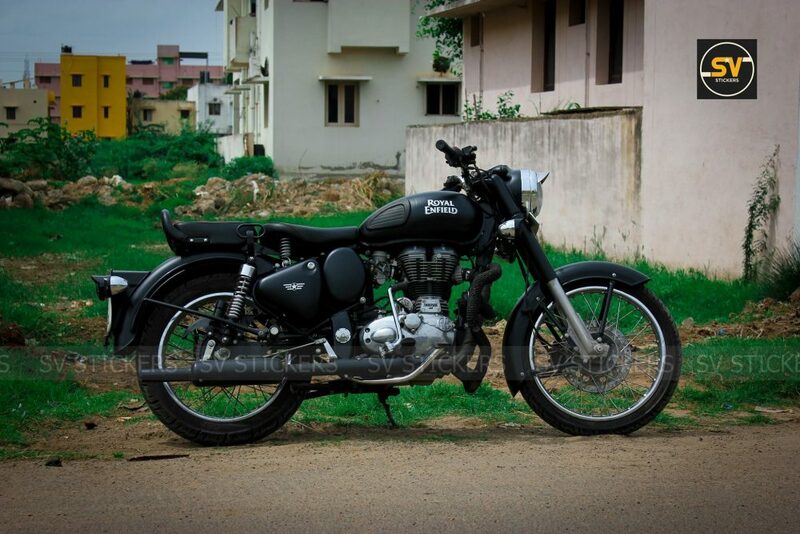 Classic 350 starts at INR 1.40 lakh for the single disc variant, while those looking for dual disc variant will need to spend INR 1.48 lakh. 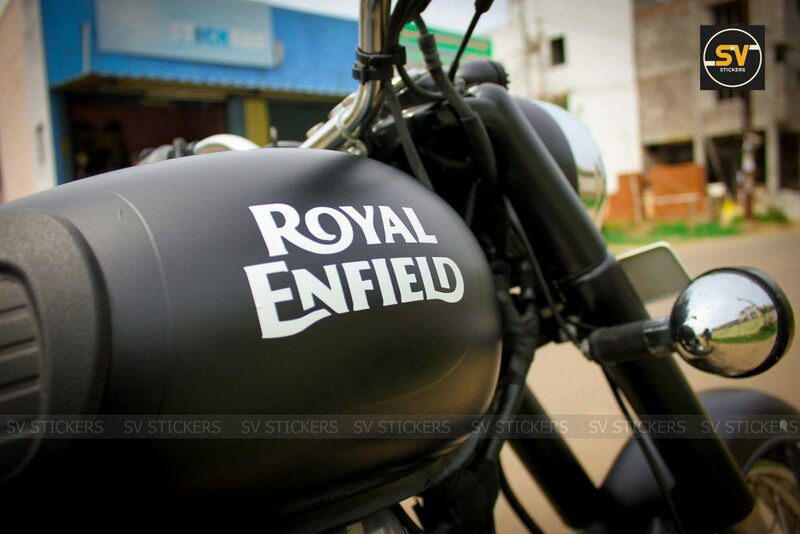 It is the highest selling Royal Enfield motorcycle of all time, claiming more than 50,000 units in monthly sales. If the success story continues this way, the brand will reach 1 million sales figure very soon. 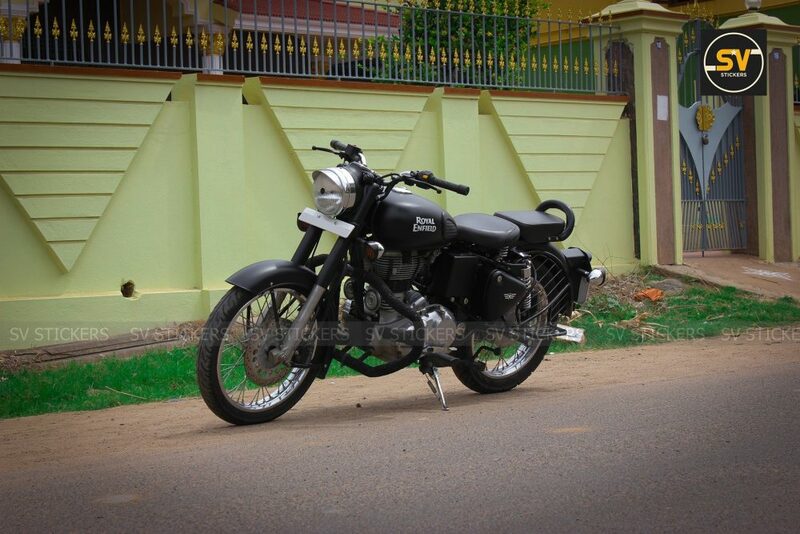 Classic 500 Stealth Black, the model that acted as an inspiration to this one, comes with a bigger 499cc engine.